Back in June, Microsoft announced that it would bring support for managing Docker containers with the help of Google’s open-source Kubernetes tool to Azure and today, it is making good on this promise. Most of the work on this integration was done by Microsoft Open Technologies, the company’s subsidiary for working on open-source technologies and interfacing with the open-source community. What’s cool about Microsoft’s implementation of Kubernetes is that the Azure team also built a dashboard for visualizing your Kubernetes setup on its platform. Microsoft says the imaginatively named Azure Kubernetes Visualizer project will make it “much easier to experiment with and learn Kubernetes on Azure.” The Visualizer, it turns out, is actually one of the results of Microsoft’s first company-wide hackathon last month. 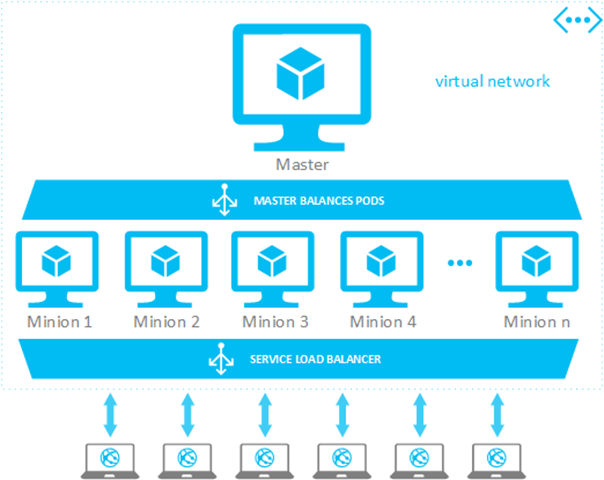 With Docker and Kubernetes on Azure, developers will be able to build their containers and publish them on Azure’s storage service, deploy Azure clusters using those container images stored on Azure or those hosted on the main Docker Hub, and configure, update and delete their clusters. All of this means you can now use the same tools to manage your Docker containers on Azure and Google Compute Engine, for example. That’s an odd paring and we don’t usually expect to read about it in Microsoft press releases. Docker — and the concept of containers in general — is quickly becoming so popular, however, that everybody is now trying to embrace it as fast as possible. That even includes the likes of VMware, for which Docker is actually a real threat.